Classically, the classification of prokaryotes is based on a combination of phenotypic and genotypic characteristics  also known as polyphasic taxonomy. To date, only 192 archaeal genomes have been sequenced . As the cost of genomic sequencing is constantly decreasing, the number of archaeal sequenced genomes is expected to grow in the next few years. We propose to describe new archaeal species by adding genomic information [3,4] to phenotypic criteria, including the proteic profile [5,6], as it was previously used for the description of new bacterial species [7–19]. 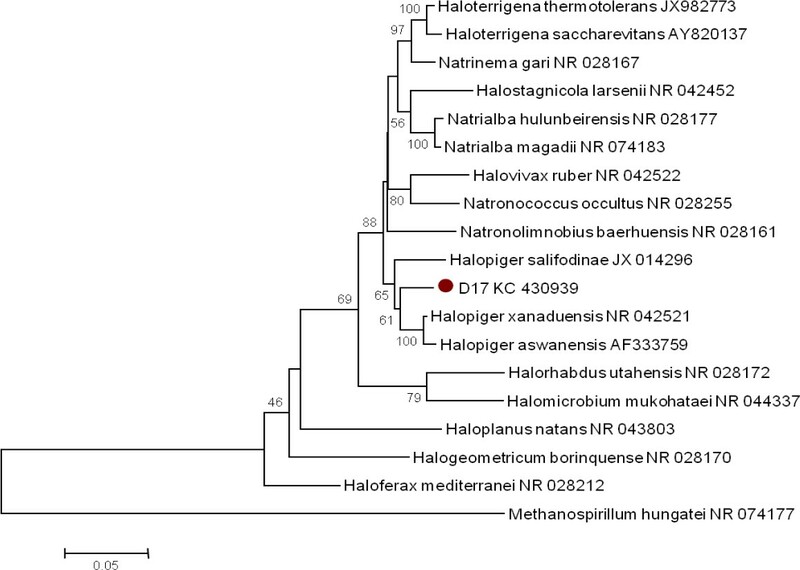 The genus Halopiger created in 2007 by Gutiérrez , contains only three species, Halopiger xanaduensis SH-6T isolated from the Shangmatala salt lake, Inner Mongolia, china , Halopiger aswanensis 56T isolated from the surface of hypersaline salt soils close to Aswan, Egypt  and Halopiger salifodinae KCY07-B2T recently isolated from a salt mine in Kuche county, Xinjiang province, China . So far, this genus is composed of aerobic, Gram-negative, polymorphic and pigmented strains [20–22]. Halopiger djelfamassiliensis sp. nov. strain IIH2T was isolated from evaporitic sediment of the hypersaline Lake Zahrez Gharbi in the Djelfa region of Algeria. Sediment samples (1g) were added to a 250 mL Erlenmeyer flasks containing 100 mL of SG medium  supplemented with ampicillin (100 µg/mL). Liquid enrichment cultures were incubated on a rotary shaking platform at 150 rpm for 7 to 10 days. After 1/10 dilution, aliquots (100 µL) were plated in SG medium supplemented with sterilized sediment extracts and incubated at 40°C for 7–30 days. In order to obtain pure culture, colonies were transferred to fresh solid SG medium. 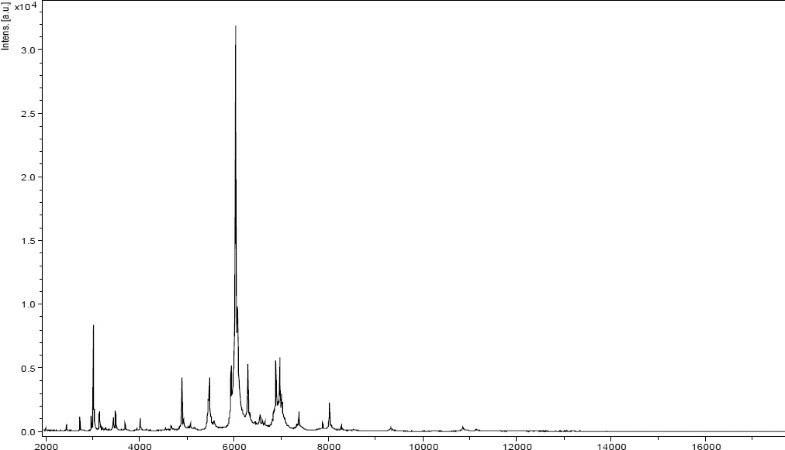 Strain IIH2T (Table 1) was isolated in 2012 by cultivation in aerobic condition at 40°C. The strain exhibited a nucleotide sequence similarity with other members of the genus Halopiger ranging from 95% with H. salifodinae strain KCY07-B2T to 96% with H. xanaduensis strain SH-6T and H. aswanensis strain 56T, its closest validated phylogenetic neighbor (Figure 1). These values were lower than the 98.7% 16S rRNA gene sequence threshold recommended by Stackebrandt and Ebers to delineate a new species without carrying out DNA-DNA hybridization . a) Evidence codes - IDA: Inferred from Direct Assay; TAS: Traceable Author Statement (i.e., a direct report exists in the literature); NAS: Non-traceable Author Statement (i.e., not directly observed for the living, isolated sample, but based on a generally accepted property for the species, or anecdotal evidence). These evidence codes are from the Gene Ontology project . If the evidence is IDA, then the property was directly observed for a live isolate by one of the authors or an expert mentioned in the acknowledgements. Phenotypic tests of strain were performed according to the proposed minimal standards for the description of new taxa in the order Halobacteriales . 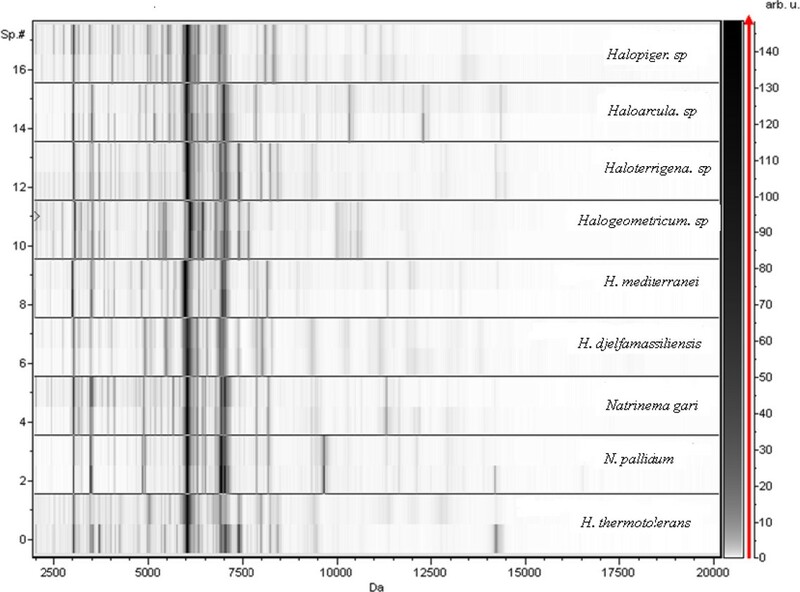 Different growth temperatures (30, 37, 40, 50, 55, 60°C), pH (5, 6, 7, 7.5, 8, 8.5, 9, 10, 11, 12) and NaCl concentration (0, 10, 12, 15, 20, 22.5, 25, 30%) were tested. The requirement of Mg2+ for growth was determined in media containing 0, 1, 2.5, and 5g MgSO4. Growth occurred between 37°C and 55°C (optimum at 40°C), between 15% and 30% NaCl (optimum at 25% NaCl) and between pH 7–11 (optimum at pH 8). Mg2+ was not required for growth. All the following biochemical and nutritional tests were realized in duplicate. Strain IIH2T was found to be oxidase- and catalase-positive. Negative results were obtained for tryptophanase, β-galactosidase, arginine decarboxylase, H2S and indole production. Tween 80, gelatin, casein and lipids from egg yolk were hydrolysed at 40°C and 55°C, whereas urea, starch, and phosphatase were not. Methyl red and Voges-Proskauer tests were negative. To estimate the utilization of various carbohydrates as carbon and energy sources, a minimum medium [250 g l−1 NaCl, 20 g l−1 MgSO4.7H2O, 2 g l−1 KCl, 0.1 g l−1 yeast extract (Difco), 0.5 g l−1 NH4Cl, 0.05 g l−1 KH2PO4, at pH 8.0] was supplemented with 1% of test carbohydrates. Strain IIH2T can use as sole source of carbon and energy, organic nitrogen compounds such as casamino acids, peptone, tryptone and non-nitrogenous compounds such as acetate and pyruvate. Production of acids from carbohydrates was tested in the minimun medium supplemented with 0.5 g test substrate l−1. Phenol red was used as an indicator to detect acid production. Positive reactions were observed for D-glucose, D-melibiose, L-rhamnose, D-xylose, D-galactose, D-mannose, D-ribose and D-sucrose fermentation. No fermentation was observed with starch, fructose, D-lactose, dextran and mannitol. Table 2 summarizes the differential phenotypic characteristics of H. djelfamassiliensis sp. nov. IIH2T, H. xanaduensis SH-6T, H. aswanensis 56T and H. salifodinae KCY076B2T. +: Positive result, −: Negative result, ND: Not Determined. Halopiger djelfamassiliensis strain IIH2T was susceptible to bacitracin (10 µg), novobiocin (30 µg) and tetracycline (30 µg) but resistant to ampicillin (10 µg), cephalothin (30 µg), chloramphenicol (30 µg), streptomycin (10 µg), erythromycin (15 µg), gentamicin (10 µg), kanamycin (30 µg), nalidixic acid (30 µg), penicillin G (10 µg) and vancomycin (30 µg). A paired-end sequencing strategy was used (Roche). The library was pyrosequenced on a GS FLX Titanium sequencer (Roche). This project was loaded on a 1/4 region on PTP Picotiterplate (Roche). Three µg of DNA was mechanically fragmented on the Covaris device (KBioScience-LGC Genomics, Teddington, UK) using miniTUBE-Red 5Kb. The DNA fragmentation was visualized through the Agilent 2100 BioAnalyzer on a DNA labchip 7500 with an optimal size of 5.4 kb. After PCR amplification through 17 cycles followed by double size selection, the single stranded paired-end library was then loaded on a DNA labchip RNA pico 6000 on the BioAnalyzer. 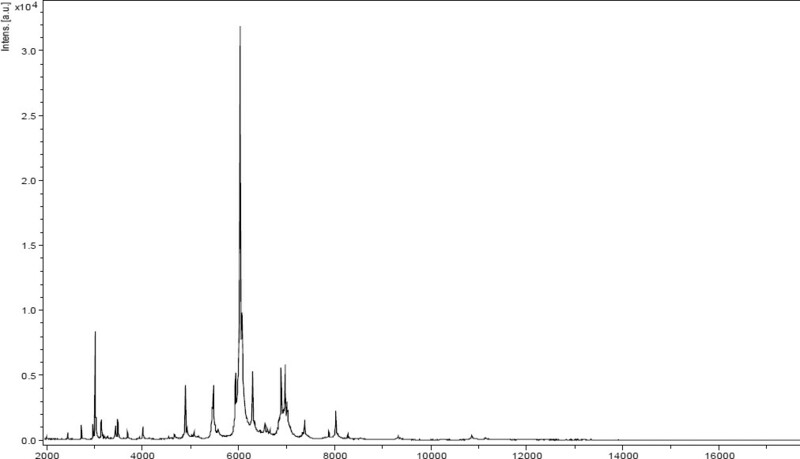 The pattern showed an optimal at 680 bp and the concentration was quantified on a Genios Tecan fluorometer at 456 pg/µL. The library concentration equivalence was calculated at 108 molecules/µL. The library was stored at −20°C until further use. The library was clonally amplified in 2 emPCR reactions at 0.25, 0.5 and 1 cpb with the GS Titanium SV emPCR Kit (Lib-L) v2 (Roche). The yield of the 3 types of paired-end emPCR reactions was 4.09%, 5.69% and 11.31% respectively, in the quality range of 5 to 20% expected from the Roche procedure. These emPCR were pooled. Approximately 480,000 beads were loaded on the GS Titanium PicoTiterPlates PTP Kit 70x75 and sequenced with the GS FLX Titanium Sequencing Kit XLR70 (Roche). The run was performed overnight and then analyzed on the cluster through the gsRunBrowser and Newbler Assembler (Roche). A total of 264,150 filter-passed wells were obtained and generated 89.81 Mb of DNA sequences with a length average of 381 bp. The filter-passed sequences were assembled using Newbler with 90% identity and 40 bp overlap. 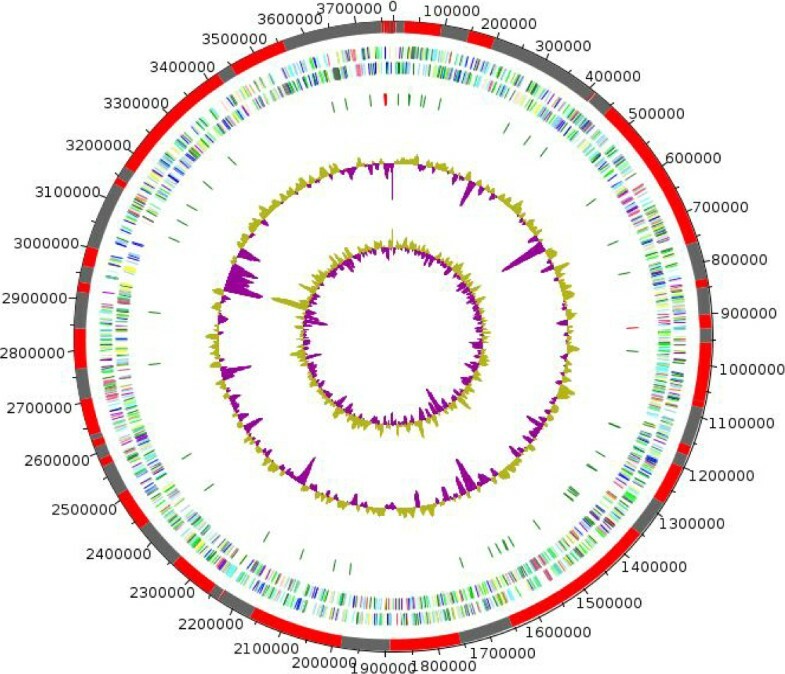 The final assembly identified 54 large contigs (>1,500 bp) arranged into 6 scaffolds and generated a genome size of 3.77 Mb which corresponds to a coverage of 23.8× genome equivalent. Colonies were smooth, viscous and cream-pigmented with 3 to 4 mm in diameter on SG medium after incubation for 7 days at 40°C. Strain IIH2T is a Gram-negative, non-motile, strictly aerobic and extremely halophilic archeon. Growth occurs at NaCl concentrations of 15–30%, at pH values in the range 7–11, and within the temperature range 37–55 °C. Optimal NaCl concentration, pH and temperature for growth are 25%, 8.0 and 40 °C, respectively. Magnesium is not required for growth. 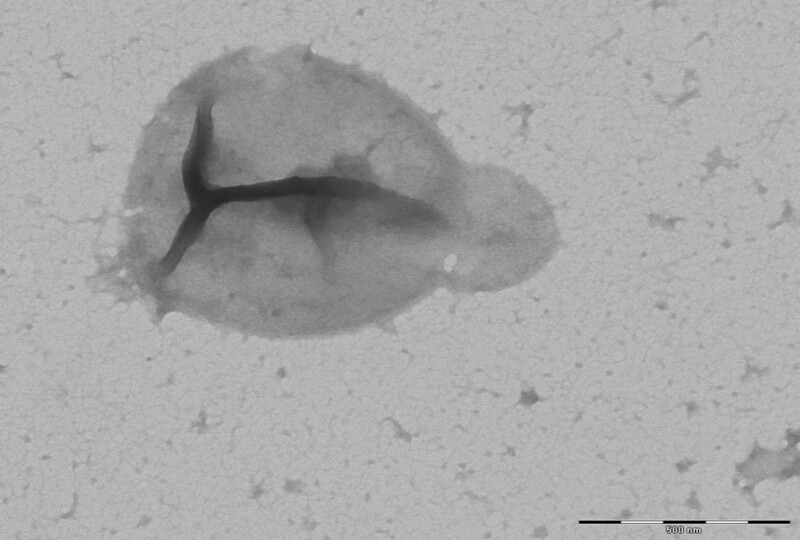 Cells are polymorphic (0.9-2.2 µm) and lyse in distilled water. Tween 80, gelatin and lipids from egg yolk are hydrolysed, D-glucose, D-melibiose, L-rhamnose, D-xylose, D-galactose, D-mannose, D-ribose and D-sucrose are fermented. 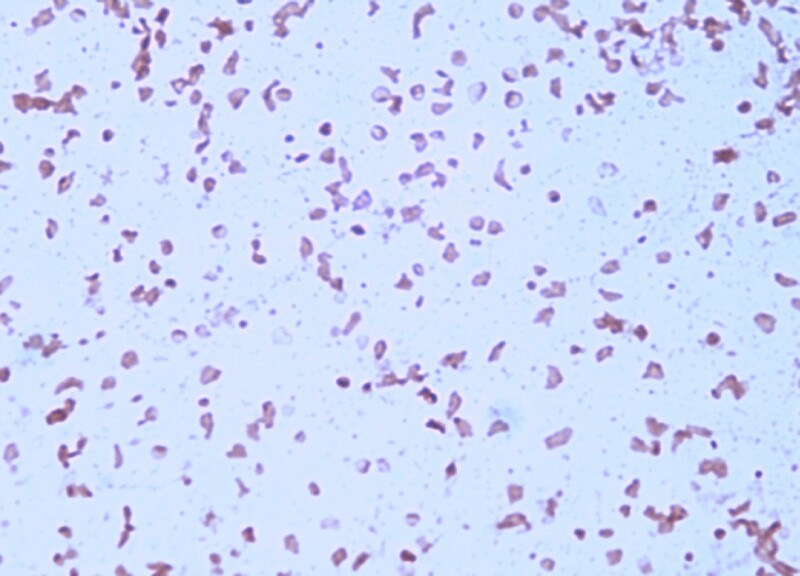 Cells are susceptible to bacitracin, novobiocin and tetracycline but resistant to ampicillin, cephalothin, chloramphenicol, erythromycin, gentamicin, kanamycin, nalidixic acid, penicillin G, streptomycin, and vancomycin. The G+C content of the genome is 64.30%. The 16S rRNA and genome sequences are deposited in GenBank and EMBL under accession numbers KC430939 and CBMA010000001-CBMA010000055 respectively. The type strain IIH2T (=CSUR P3035= DSM on-going deposit) was isolated from the sediment border of the hypersaline Lake Zahrez Gharbi, located in the Djelfa region of Algeria. The authors thank the entire team of CD and more particularly Dr. Nikolay Popgeorgiev for his help with TEM and Sarah Temmam for her help with tree construction. The authors acknowledge the Xegen Company (www.xegen.fr) for automating the genomic annotation process.